The return of summer Fridays (early dismissals from the office on Fridays) means I will be checking out many new and old restaurants for prix fixe lunches! 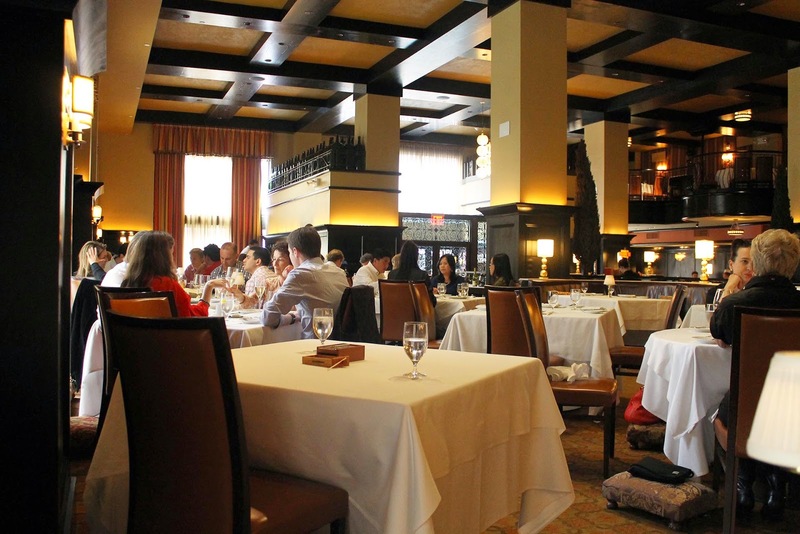 When I first visited Del Posto in 2011, the prix fixe lunch was $29, and I tasted an amazing seared duck breast. 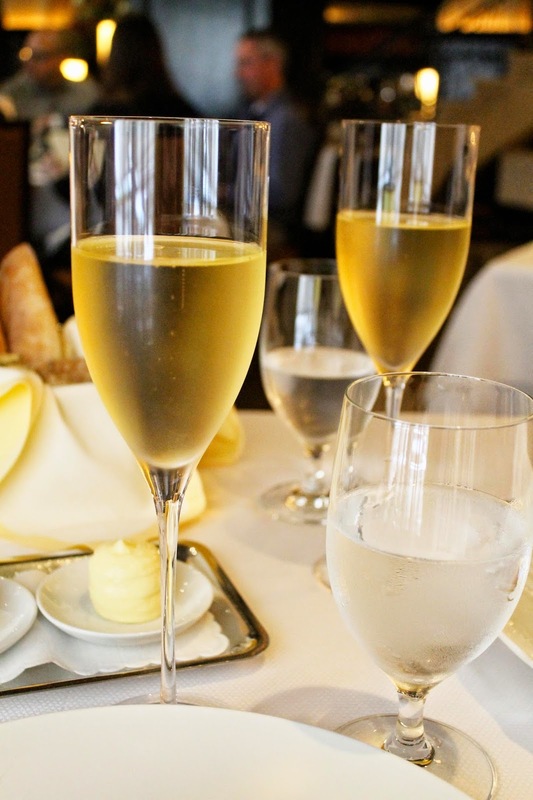 For a celebration last year, my bf treated me to the restaurant's 6-course dinner, and what would become the best dining experience of my life. On a recent visit for lunch last week, although the service was spectacular as always, we both weren't blown away by the food. 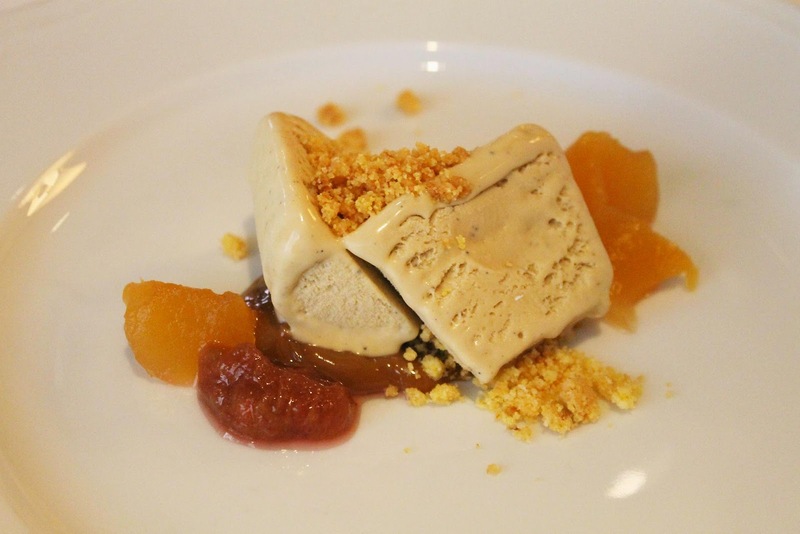 Maybe we didn't choose the right dishes from the prix fixe? Either way, it looks like we'll just have to return for a dinner again! 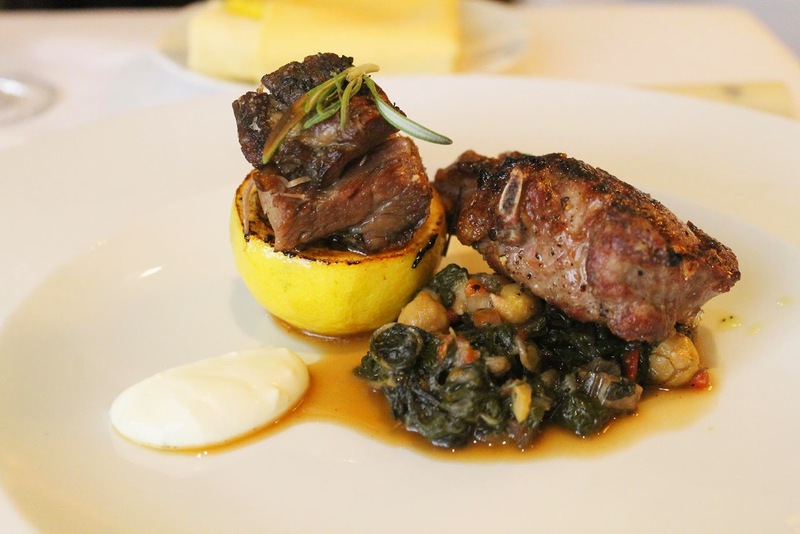 The lunch prix fixe is $39, and includes 3-courses: antipasto, primo or secondi, and dolce. 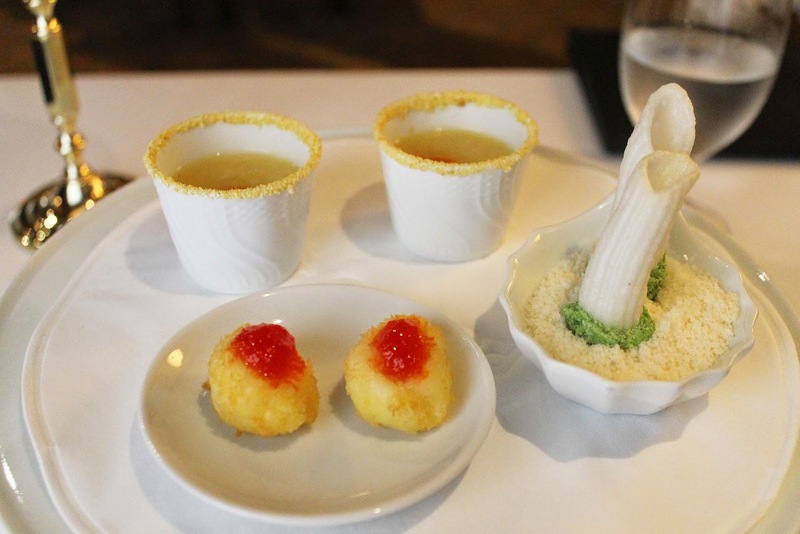 One of my favorite things about fancy restaurants is getting to taste a small variety of really creative dishes presented in the amuse bouche. The bacalao was quite salty, but then again, it is supposed to be a dried and salted cod. I did like the dense texture of it. The penne really stood out-- who would have thought that a rice cracker with mashed peas could be delightful. The pecorino cheese was amazingly fresh, and I definitely had a few more bites of it after finishing the cracker. 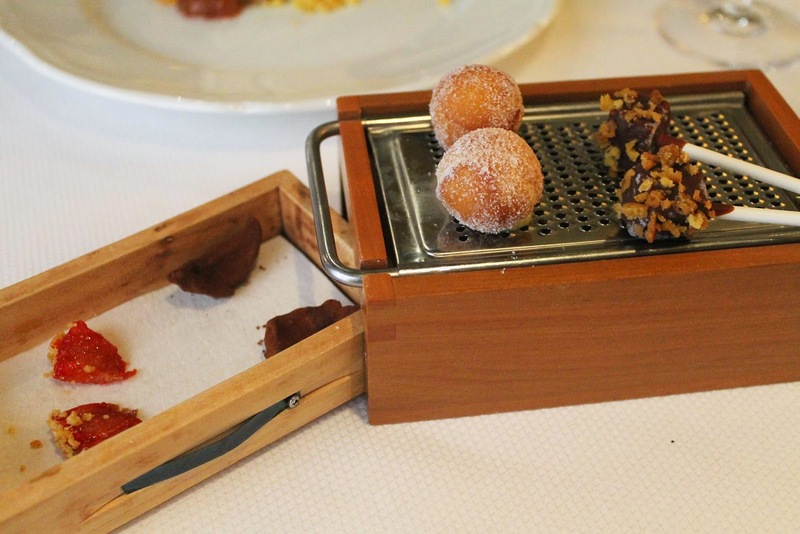 Del Posto's bread basket is one of my very favorites. The bread is all made in-house, and served warm. 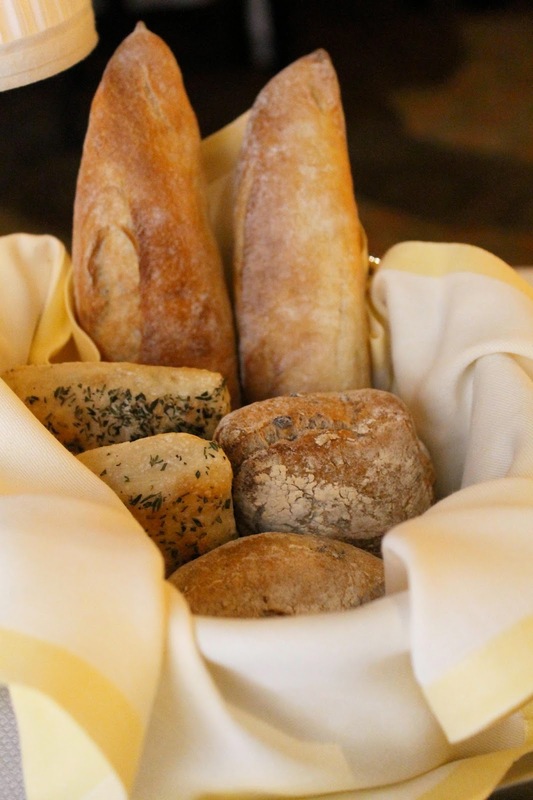 The rosemary focaccia is a must; even if you're saving room for the following courses! Pork lard is mixed with salt, sugar, rosemary, garlic, salt and pepper, and then untouched for 3-4 weeks. The result? An incredibly flavorful butter. 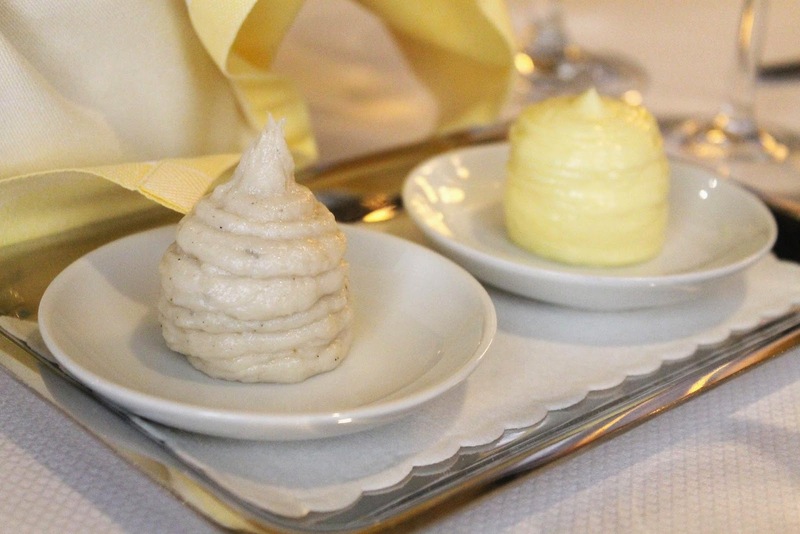 The unsalted butter on the right is for those looking for a "healthier" option. Cheers to the beginning of summer! 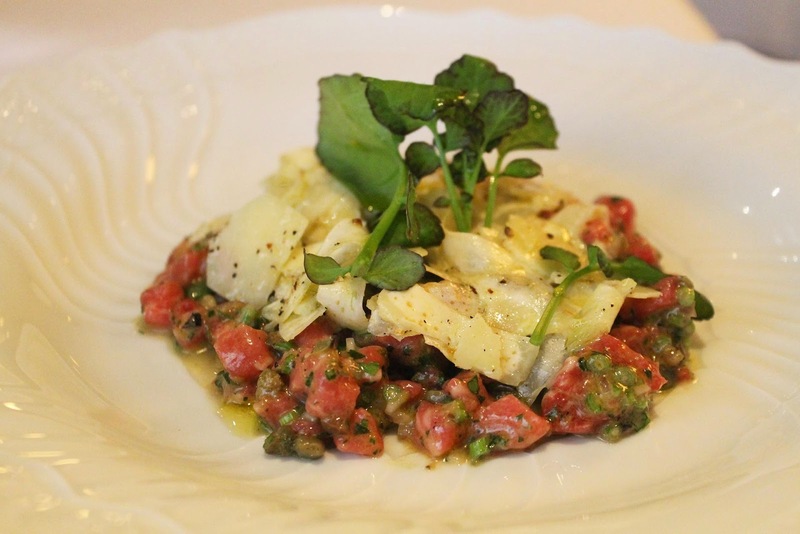 A perfectly seasoned beef tartare. For a meat dish, this tasted surprisingly light. 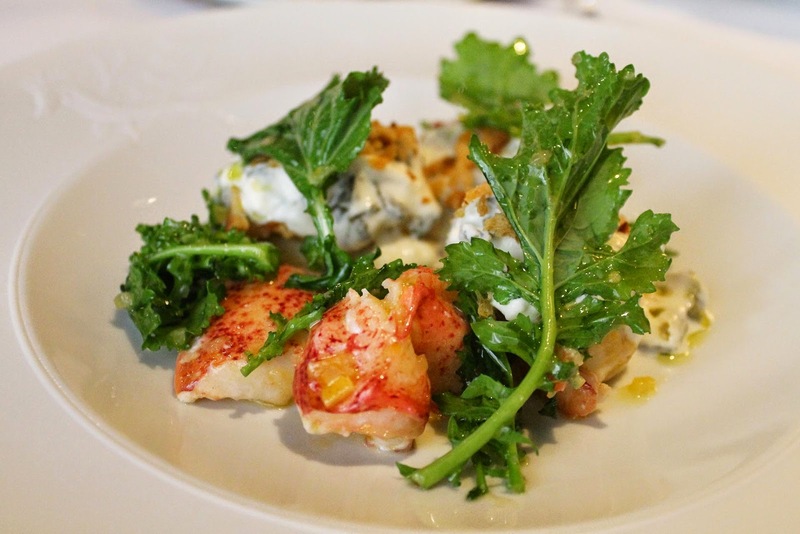 Deliciously fresh lobster meat with a burrata that brought out the fresh seafood flavor. I didn't care for the broccolini, but then again, it was sharing a plate with fancy seafood and cheese... of course it wouldn't win. This delicate pasta sat on a mix of celery, carrots, and asparagus purée. Very good, but nowhere near as memorable as the spaghetti with dungeness crab. 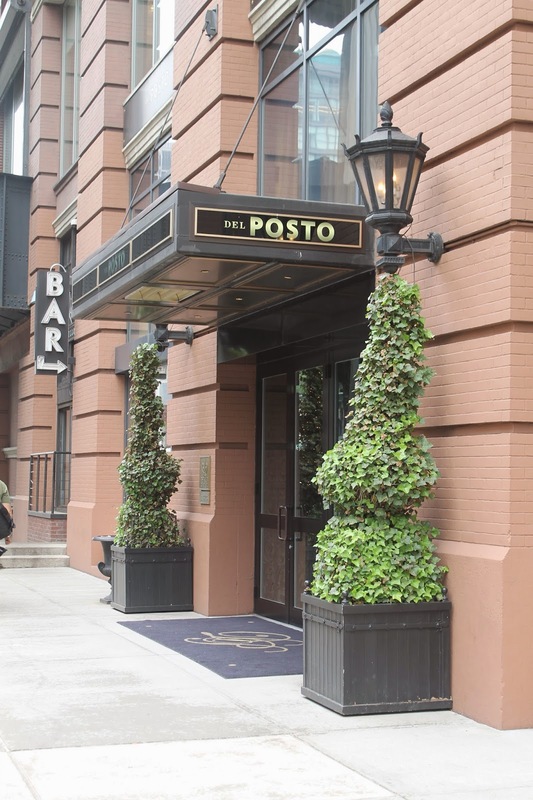 Del Posto offers a pasta course for the table at $10 per person. 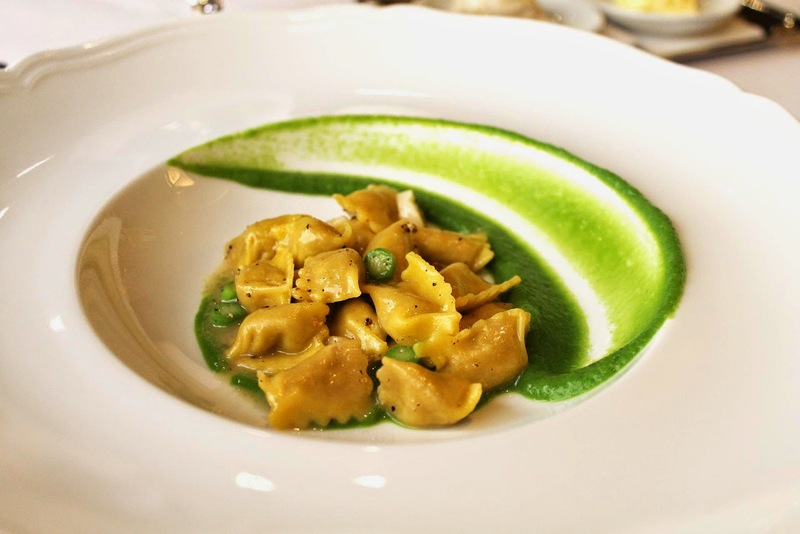 We fell in love with the pastas last year, so we knew we had to order one. Unfortunately the spaghetti with dungeness crab and the lasagna are both not included in the lunch menu options, but make sure to order it at dinner. They are life changing. 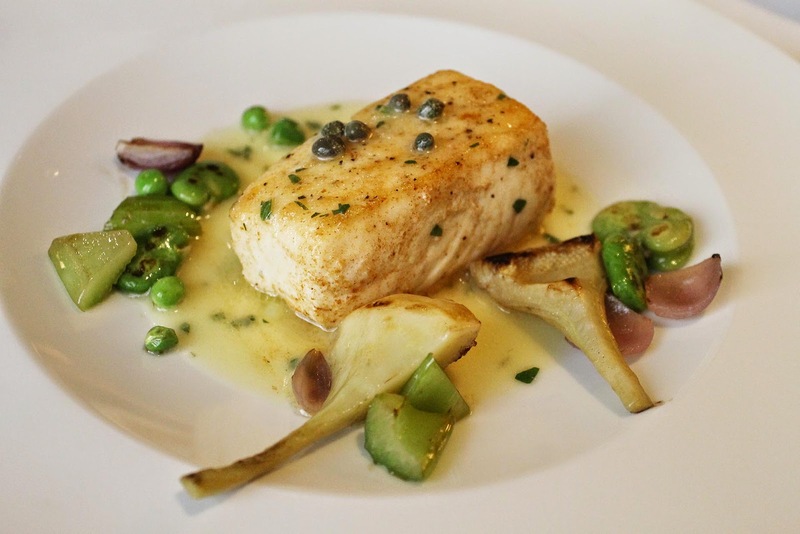 The buttery sauce was delicious, while the soybean, artichoke, onions and peas made the dish feel healthier. Although the fish was good, it was quite boring. 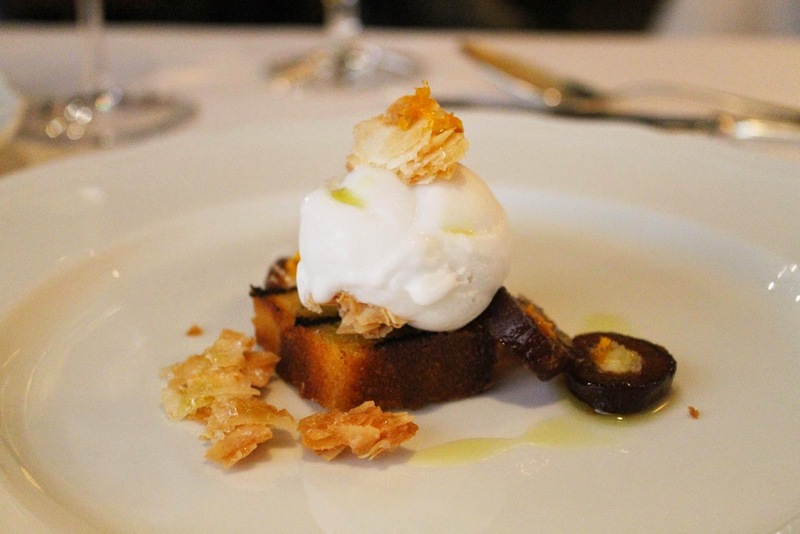 Loved this olive oil gelato, the soft pound cake, and the cookie crumble. It really would've been even better without any of the cherries and salty crackers and crunch almonds, though. Those flavors and textures were too harsh. 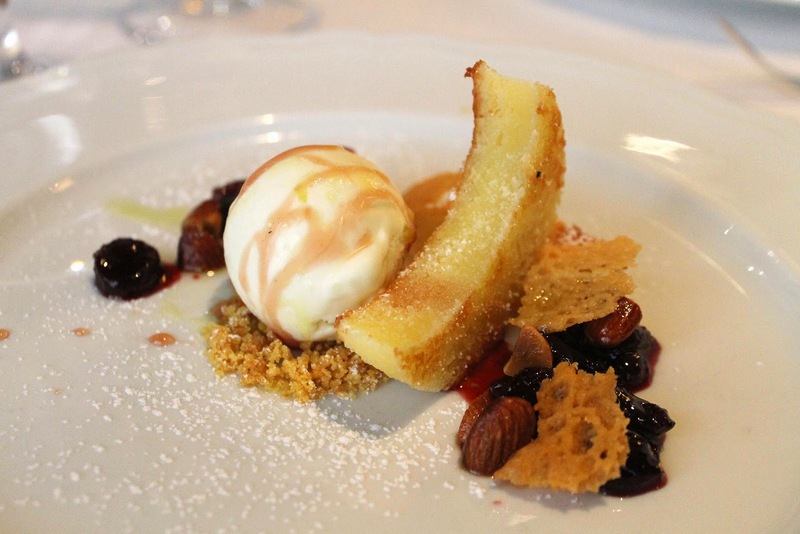 The orange syrup infused cake had a texture similar to the pound cake, and was just as delicious. It went perfectly with the coconut ice cream. The soft, hot mini doughnuts were my favorite, but the cake pop was a close second.